The certificates are verified using its own trust store. For more information, please visit the X.509 project page. 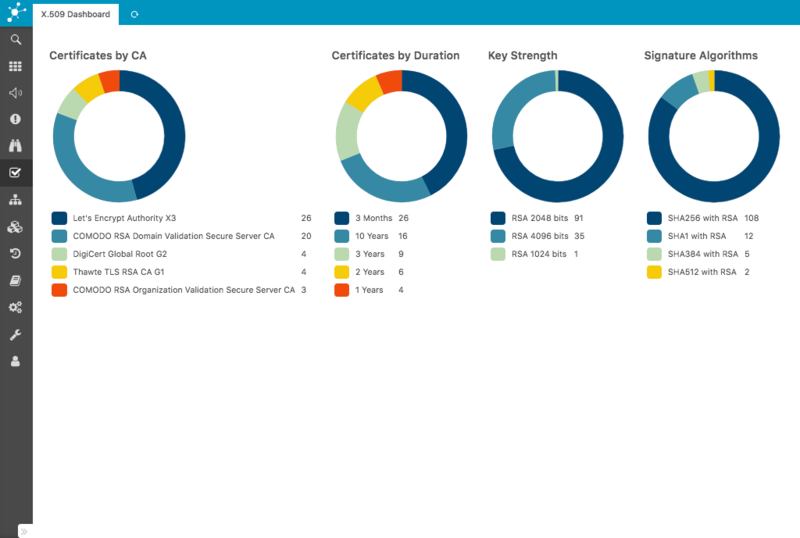 We hope you enjoy the X.509 module for Icinga. This Plugin seems nice to handle the monitoring of all certificates. 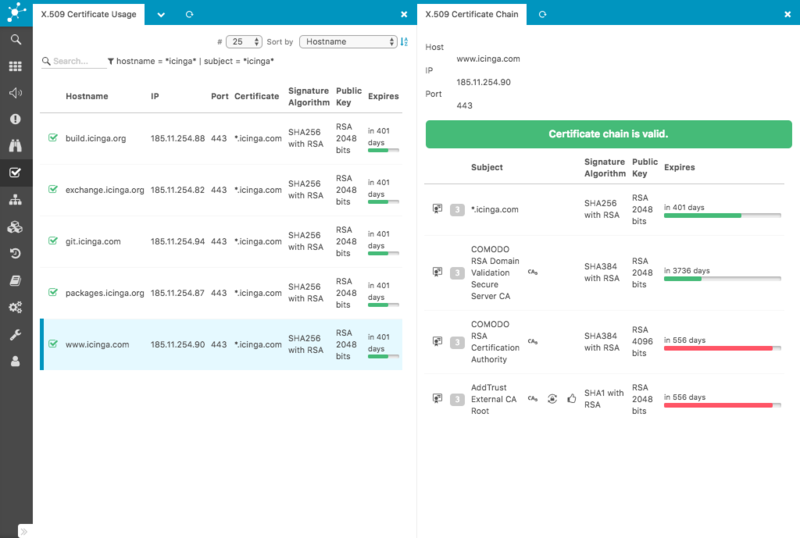 How does this plugin work with SNI if I have multiple certificate on the same IP? Is it possible to add them manually? Can I scan a domain list (for example, extracted from the nameserver) instead of a IP range? Wow! Great plugin, thank you very much!